Do you currently feel like your freelance writing career is stuck in neutral? Maybe you struggle each month to land enough work to pay your bills. If so, the problem may not be the number of writing jobs you complete. It may be the type of writing projects you are going after that is keeping you from realizing financial success. Not all writing projects pay the same, and some are far more lucrative than others. Not all writing projects pay the same, and some are clearly far more lucrative than others. Doesn’t it make sense then to go after the writing jobs that pay the best? The life of a starving artist, after all, isn’t very attractive when you have bills to pay. One of the most important things you can do to accelerate your freelance writing career is to go after high-paying projects. But which ones? A case study is a short customer success story that companies use to sell their products or services. They are usually used in business-to-business (B2B) marketing to sell to other companies. 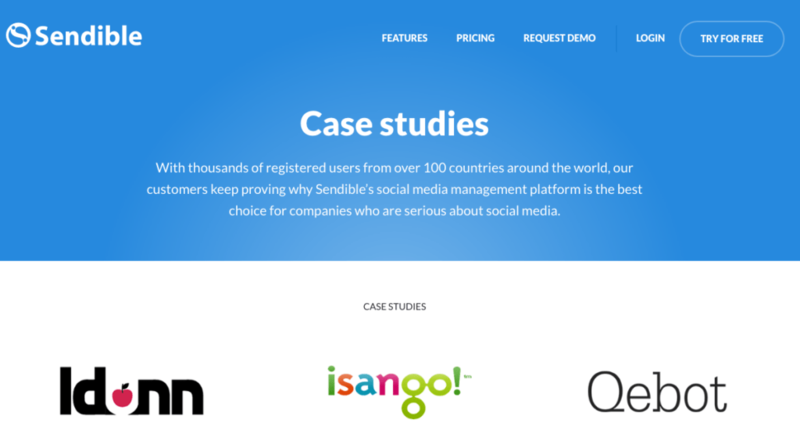 For example, Sendible is a social media management tool for companies. They entrust case studies as a lead generation tactic. A case study is basically a testimonial, and they are usually no longer than two pages. Case studies tell the story of how a company’s product or service saved the day when a client had a problem. The idea is to convince readers that they can have the same results if they go with that company’s products or services. Copywriters routinely charge $1,500 to $2,000 per case study. Depending on how efficiently you work, this can easily work out to $125 to $300 an hour. As a beginning case study copywriter, you should not have any trouble charging $1,000 for your first project. The demand for skilled wordsmiths who know how to write these persuasive pieces is very strong. But here’s the key to all successful case studies: they read like engaging stories instead of dry reports. Successful case study copywriters use the art of storytelling to sell without sounding like they are selling. They gently persuade readers that a company’s products or services are the most logical solutions to their needs. It’s not a skill every writer can master – and that’s why case studies pay so well. A white paper is a tool that companies use to market their products and services to other companies (B2B). They are usually no longer than 10 pages. Instead of using the customer success story format, as case studies do, white papers use facts and figures to make the case. White papers often present data or research results. They may also contain product background information and tips or solutions to various business issues. Like case studies, white papers use a “soft sell” approach, but they read more like technical papers instead of stories. Copywriters routinely charge $4,000 to $7,000 for white paper projects. As a new white paper writer, you should not have any trouble charging $3,000 for your first project. I know of one copywriter who specializes in white papers. That’s all he does. He charges a flat fee of $6,500 and completes one white paper a week for a high six-figure annual income. He stays fully booked. For more help, check out That White Paper Guy. All publicly traded companies are required by law to provide a detailed account of their operations and financial activities – an annual report – to stockholders each year. The length of these reports varies greatly depending on a company’s size and the scope of its operations. The tone of annual reports is always formal. These documents usually include a letter to the shareholders from the CEO, financial statements, an auditor’s report, summaries of various corporate operations, and other relevant information. Writing an annual report is not the daunting task it may appear. As an annual report writer, your job is not to conduct extensive research on corporate operations. Rather, you take information that others have compiled and assemble it into a document that is easy to read and understand. Annual report copywriters charge an average of $5,000 to $10,000 per project (or more for large corporations). There’s occasionally some confusion over the definition of an article. Many think it’s the same as a blog post. The confusion is understandable since some articles are in fact posted on blogs. But there is a distinct difference, both in the style and the amount you can earn for writing them. Blog posts are usually written in a relaxed, conversational tone and often include the author’s opinion on the topic. Articles, however, are written in a more formal style and are fact-based. Article writing usually requires research on the subject, and you may also have to interview one or more experts and include their authoritative quotes. Articles are typically published in magazines, newsletters, websites, and other publications. Article writing is lucrative, and writers commonly charge $1 to $1.50 per word (and sometimes more) for these projects. Nearly everyone is familiar with brochures. Over the years these marketing tools have been used to advertise pharmaceuticals, vacuum cleaners, theme parks, restaurants, non-profit organizations, and just about everything else you can think of. Brochures are a simple, yet powerful, way to make a connection with potential customers. Brochures typically consist of several big pictures with a few short paragraphs. They usually don’t say much. But that doesn’t mean writing brochures is easy. The challenge for a writer is to persuade readers in as few words as possible. And that’s why brochure writing pays so well – because there’s no margin for error. Brochure copywriters typically charge by the page or panel. $300 to $500 per panel is common, and rates can sometimes go as high as $750 per panel, depending on the project. Websites are powerful selling tools, and the words on the pages customers visit can persuade them to buy from a company. But poorly written words can scare them away. Companies know this and strive to hire writers who can compose magnetic copy that draws customers in – copy that influences and portrays the company in the best possible light. Website copywriters typically charge by the page, and rates of $300 to $750 per page are common. 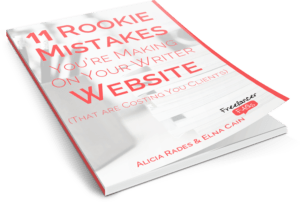 A client may have you write one or two pages, or you may be hired to completely rewrite a website, which could end up being 10, 20, or even 30 or more pages. Have you ever wondered how busy celebrities find the time to write and publish books with their hectic schedules? Here’s a little secret of the celebrity book market: ghostwriters are often used to write books for them. Clients who use ghostwriters include company executives, political figures, actors, musicians, and others. Ghostwriting books is one of the most lucrative writing projects there is. But it’s not for everyone. As a ghostwriter, you have to work closely with a client until the project is completed. That could be a challenge if you have to ghostwrite a book for someone who is difficult to work with. Established ghostwriters routinely charge $50,000 to $75,000 per book, and some even charge six figures. New ghostwriters can expect to earn $15,000 to $25,000 for their first book. Landing high paying writing projects is a great way to revive a writing career. It can really put a spring in your step when you receive that first four or five-figure payment for the completion of a project. The great thing about high paying writing projects is that they are not only lucrative, but they are plentiful as well. There is a big demand for those who know how to write them. It also requires less marketing effort to land a few high paying projects each month than it does a bunch of projects on the lower end of the pay scale. It’s about working smarter, not harder. So, if you are still trying to make ends meet each month by completing as many projects as you can, perhaps it’s time for a different strategy. You only need to complete two or three of these lucrative projects a month to earn a comfortable full-time income. How Do I Write a White Paper for a Freelance Writing Client? Cyrus Vanover is a freelance copywriter specializing in white papers and case studies. Based in Virginia, he enjoys hiking the local trails and exploring new restaurants in his spare time. This is a really handy article, Cyrus. I’m in the process of deciding what type of writing to pursue and this has given me much to think about! Great article! Gives me more incentive to add white paper writing to the services on my fledging website.